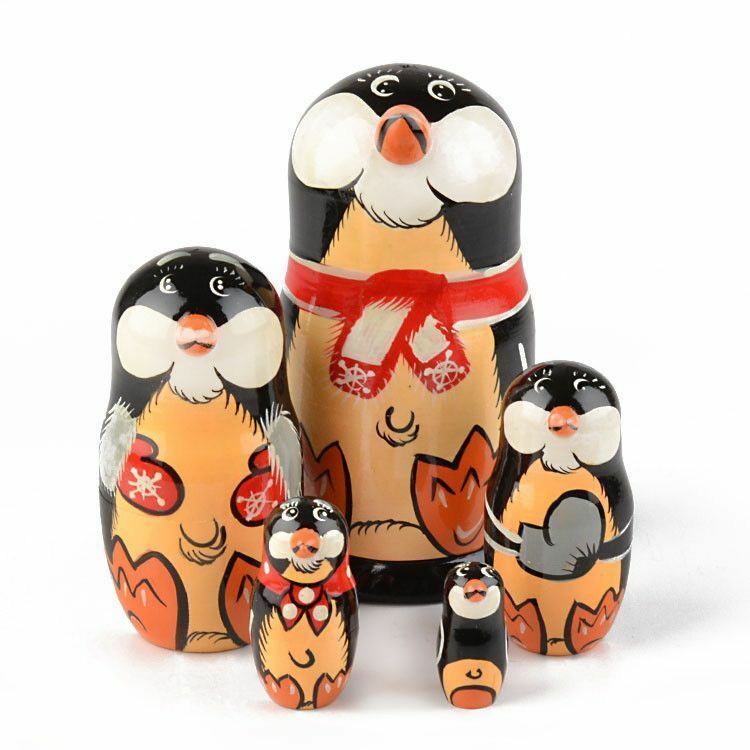 This adorable wooden stacking doll was carved and painted in Russia. 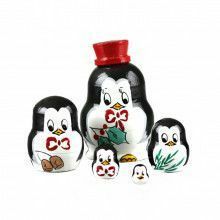 It is about 6" tall and has a total of five penguin animals. 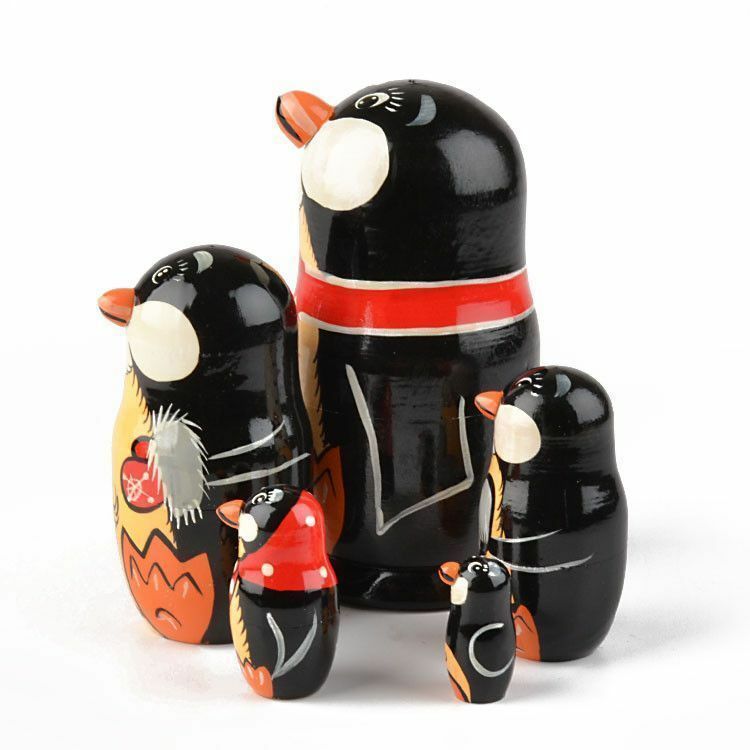 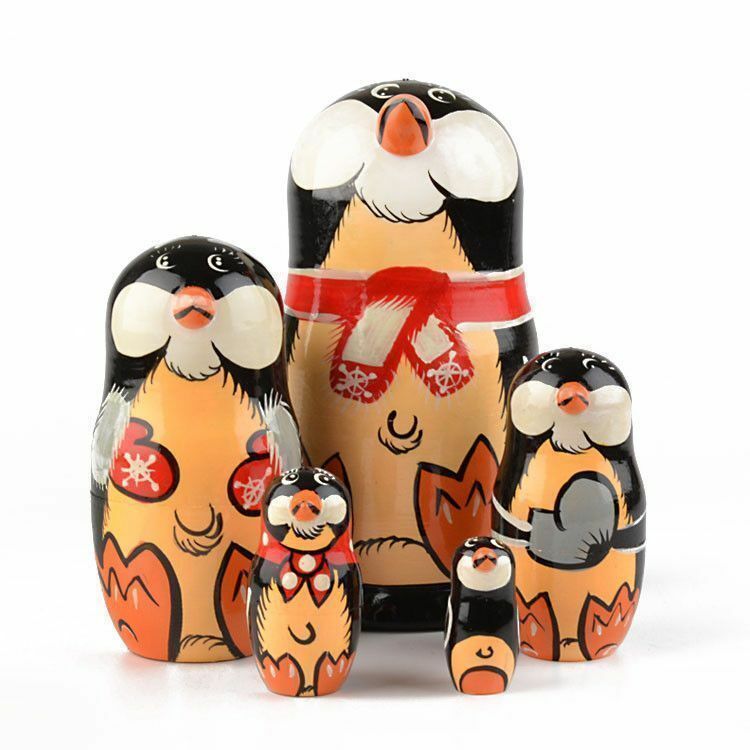 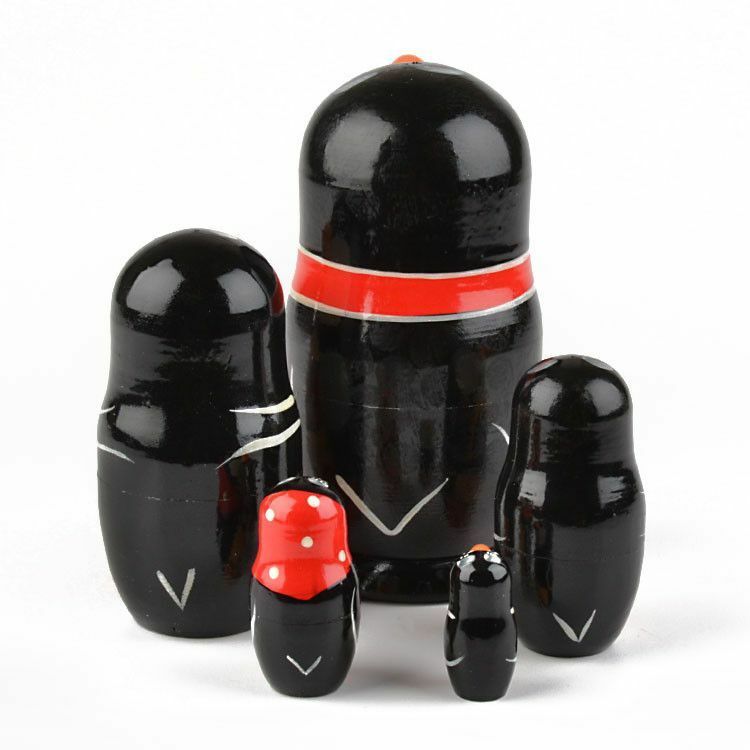 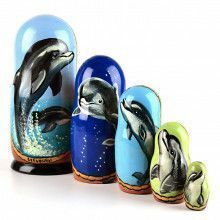 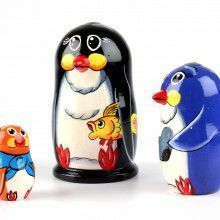 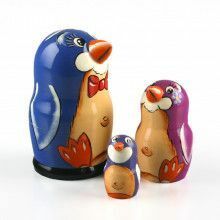 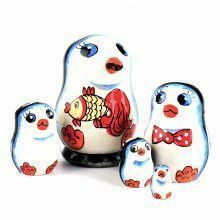 This nesting doll is fun to play with, neat to hold, cool to look at, and a wonderful gift option for penguin lovers. 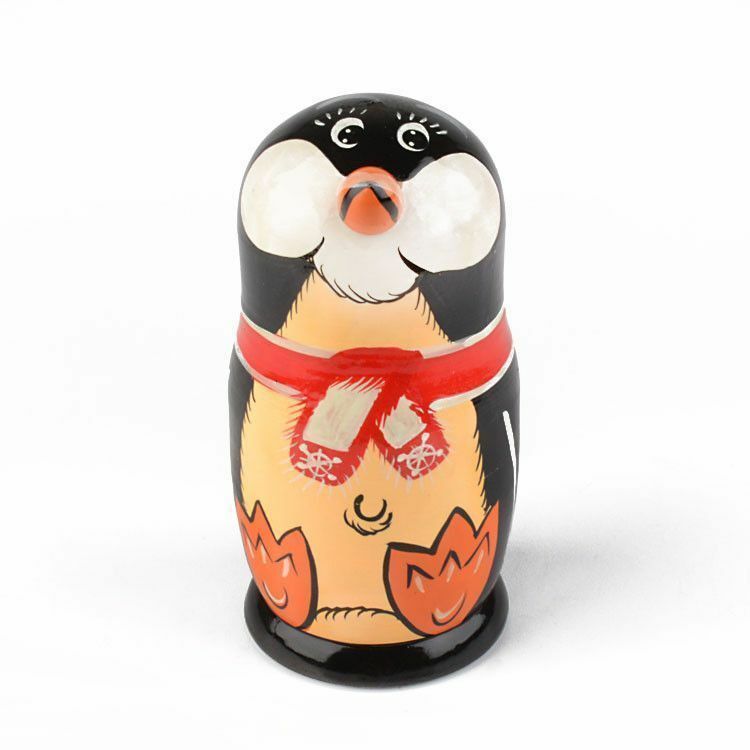 This matryoshka penguin is unique in that it has three-dimensional beaks!